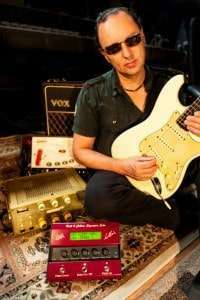 Australia’s Premier Surf Rock Guitarist won over by Hall and Collins Signature Echo Unit. 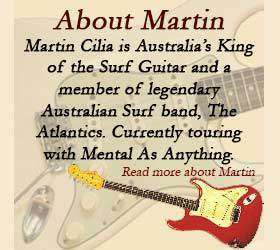 Hall and Collins are delighted to announce that Martin Cilia, Australia’s King of surf guitar will endorse the Hall and Collins Signature Echo Unit. The all British made Hall and Collins Signature Echo has taken the guitar playing world by storm since its launch in April 2015. 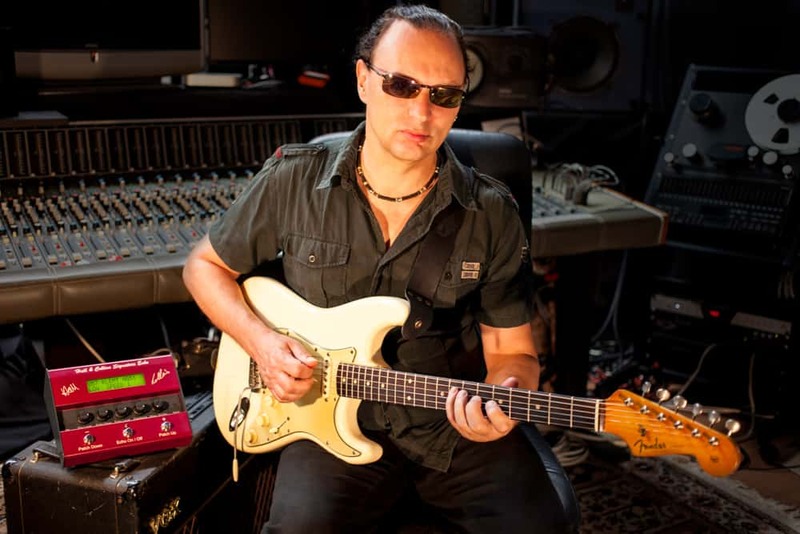 Martin Cilia, who is currently touring Australia with “Mental as Anything”, has been using the HCSE since December 2015 and will be using it on future projects that will be announced later this year. Charlie Hall the co collaborator with John Collins said “we are delighted that Martin has been able to endorse the HCSE and found it as enthralling as hundreds of other professional guitarists all over the world, we look forward to a long and fruitful collaboration with Martin”. The Hall and Collins Signature Echo is the result of 5 years toil from the two inventors. Charlie Hall has made echo patches for Hank Marvin and Peter Frampton to name just two. He helped to finalise the design of a Signature Guitar Amplifier for Hank Marvin too. John Collins began a lifelong involvement with guitars and music at age 12 and has been working with electronics for nearly as long, he is another true expert in his field. The HCSE has been supplied to nearly every corner of the globe including Tasmania, New Zealand, Singapore, USA, Canada and India as well as just about everywhere in between. The unit is supplied from the UK and is £599 inc UK VAT (20%%) plus carriage. Martin is endorsed by D’Addario strings.